If you're into exploring the great outdoors in style and comfort, the new Crosstrek is a must-have, as noted by 2017 Subaru Crosstrek reviews. Featuring a raised suspension and trail-ready styling, the Crosstrek is sure to get your adventures headed in the right direction. Keep reading our review to learn about all of its offerings. The 2017 Subaru Crosstrek in Kansas City is available in four trims: 2.0i, 2.0i Premium, 2.0i Premium Special Edition and 2.0i Limited. 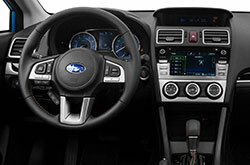 Foglights, roof rails, a height-adjustable driver seat and five-speed manual transmission are standard on the base 2.0i. It also comes with a 6.2-inch touchscreen, iHeart Radio and a four-speaker sound system that makes jamming to your favorite music exciting. You'll be hard pressed in find a single 2017 Subaru Crosstrek review that doesn't rave about the vehicle's other top-notch features that can be found on upper trims. They include leather upholstery, automatic headlights, a sunroof, dual USB ports and upgraded gauges. Every 2017 Subaru Crosstrek in Kansas City employs a 148-horsepower 2.0-liter four-cylinder engine that is good for 145 pound-feet of torque. All models also come with all-wheel drive as standard. Power is sent through either a five-speed manual or continuously variable transmission, depending on which trim you choose. 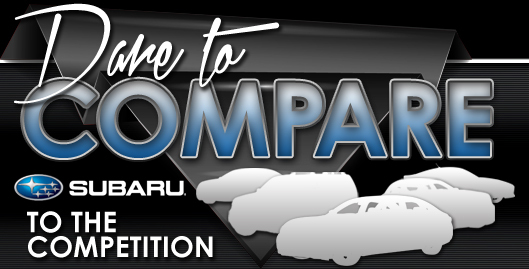 Try both when you come test drive a Crosstrek at Van Subaru. The crossover SUV comes standard with hill start assist, antilock brakes and numerous high-quality airbags that are designed to help keep you safe on the road. There's also a rearview camera that makes parking woes a thing of the past. Options include blind-spot monitoring, lane departure warning and a frontal collision mitigation system. Why Buy the Subaru Crosstrek? Don't settle for the 2017 Mini Cooper Countryman, Jeep Patriot and the Jeep Compass when searching for new vehicles; visit Van Subaru to check out the beloved 2017 Subaru Crosstrek in the Kansas City metro area. Its multitude of features and magnetic personality may be just what you require in an everyday vehicle. Take advantage of the tools in our review to find out if the 2017 Subaru Crosstrek is a fit for you, then browse the latest financing and leasing offers! 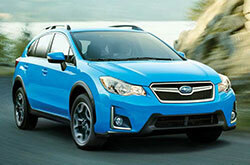 Want to see up-to-the-minute manufacturer incentives on the new Subaru Crosstrek? 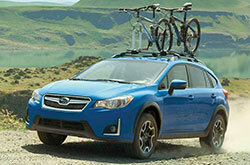 Then make sure you visit us - your in-town Subaru retailer. After viewing our 2017 Subaru Crosstrek review, jot down the specifications that you found essential; they'll help you make a knowledgeable vehicle purchase that you won't feel doubtful of. 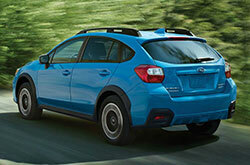 Scan through our immense selection of Subaru Crosstrek models online. Then visit Van Subaru for a test drive. Can't wait to see its exterior design before you visit? Look at our video walk-around to get a peek at its cabin equipment!